The exploits of a teen in her final year of high school. The old cliché goes that few of us enjoy being a teenager but most of us look back on that time as the best days of our lives. In recent years we've gotten so many impressive female led teen dramas that the actresses who starred in them may one day look back and realise they gifted them the roles of their careers. As older performers, will Garance Marillier, Hailee Steinfeld and Bel Powley ever be gifted roles as strong as those they essayed in Raw, The Edge of Seventeen and The Diary of a Teenage Girl respectively. Depressingly, despite what should have been a star-making turn in 2015's under-rated comedy The DUFF, Mae Whitman appears destined for a career of supporting roles. At time of writing, there's much talk of Saoirse Ronan pipping the likes of Meryl Streep and Frances McDormand to a Best Actress statuette for her lead role in Lady Bird, the directorial debut of indie darling du jour Greta Gerwig. Lady Bird doesn't quite compare to the aforementioned teen movies, but Ronan's performance is arguably the best of the crop, and may well be looked back on some day as the high point of her acting career. 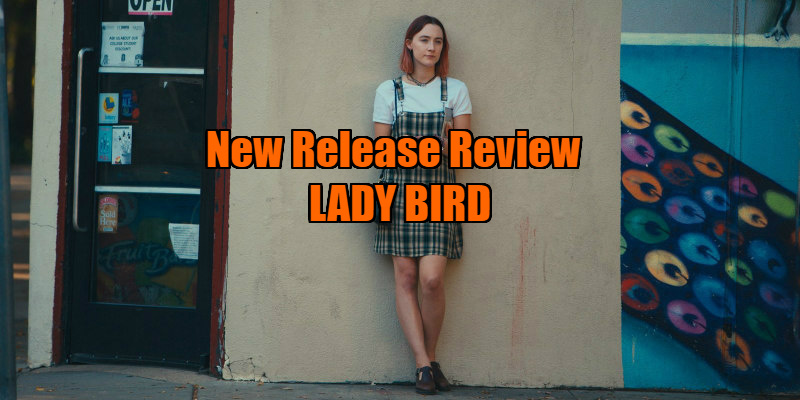 Like the recent Ben Stiller vehicle Brad's Status, Lady Bird gives us a Sacramento, California resident who dreams of joining the East Coast elite. Ronan is Christine, but prefers to go by the name 'Lady Bird', to the annoyance and bafflement of those around her. She's in her final year of high school, with her mind set on a place at an Ivy League college, though her lack of aptitude in school suggests that's merely a pipe dream. Structured as a series of short, snappy vignettes, which often play like three panel comic strips in their immediacy, Gerwig's film captures the superficial nature of teenage life, with all its transitory obsessions and relationships. Christine falls for a nice guy (Lucas Hedges' closeted drama geek) and a not so nice guy (Timothée Chalamet's douchey muso, the film's most clichéd character). She drops her longtime friend (Beanie Feldstein) when given the chance to hang out with the most popular girl in school (Odeya Rush). She bickers constantly with her long-suffering mother (Laurie Metcalf), while her father (Tracy Letts) does his best to avoid conflict. Lady Bird's ADHD structure, with few scenes lasting longer than a couple of minutes, can make the film at times feel as superficial as its protagonist. Subplots are resolved in an unearned fashion because the film hasn't invested enough time setting up payoffs. For instance, I never actually realised Christine had ditched her best friend until a dramatic scene where she makes a point of reuniting with her. Such lack of depth is most glaring, and most problematic, in the subplot concerning Hedges' fear of being outed by Christine, who gives him the hug he needs in a moment of resolution. It's a charming moment, but with Hedges disappearing from the narrative immediately after, it does feel like a cheap exploitative trick to show a more positive side of the film's protagonist. 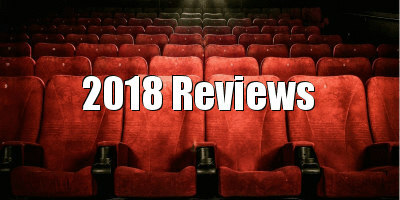 There have been far more satisfying teen dramas in the past couple of years (though sadly none have received the attention of Gerwig's debut), but this is a genre that rarely disappoints, and Lady Bird holds our attention thanks to an array of outstanding performances, chiefly from Ronan, Metcalf and Letts as the central family, Chalamet as a hilariously vacant lothario, and Lois Smith as a loveable elderly nun. Ronan will make better movies in her career, but she may look back on her time working on Lady Bird as the best days of her life. 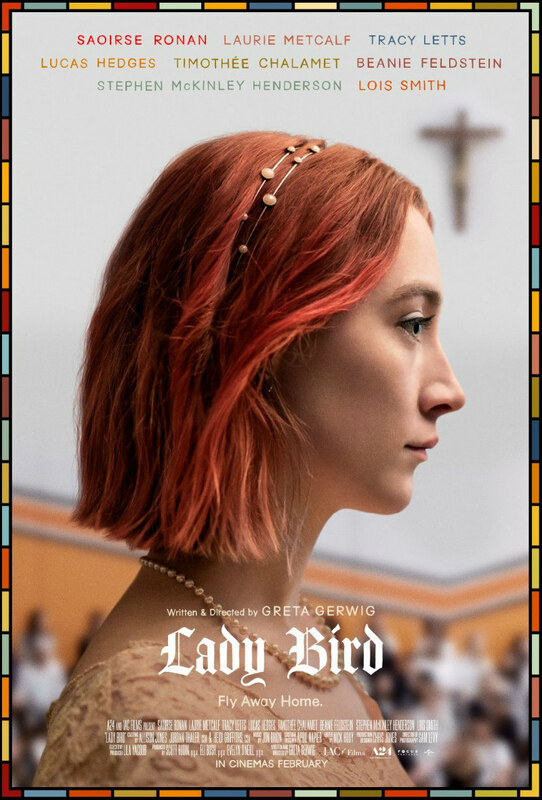 Lady Bird is in UK/ROI cinemas February 16th.